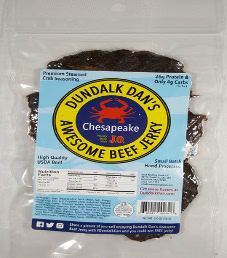 The first review for Dundalk Dan’s Awesome Beef Jerky will be on a 2 ounce/56 gram bag of their Chesapeake flavored beef jerky. 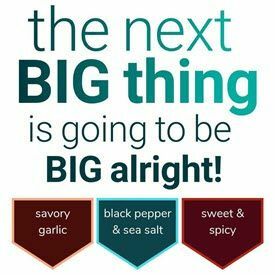 This flavor is described as a favorite for people who like good ol’ Maryland Steamed Blue Crabs. The bag was kindly submitted for review by the senior digital marketing manager, Samantha Bodenstine.